Aardman’s classic character Morph returns to CBBC and a brand new generation of fans. 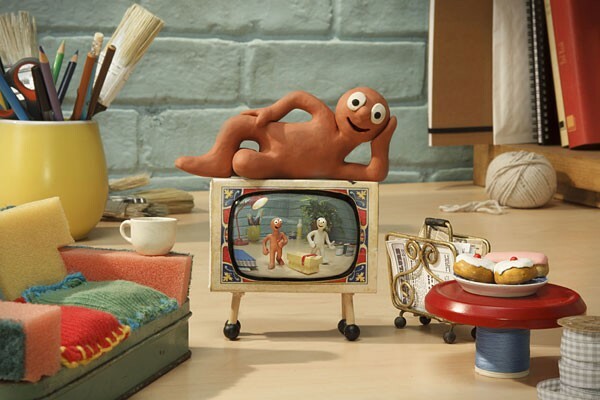 Everyone’s favourite terracotta clay hero, Morph, will return to the small screen on CBBC. The new adventures of Morph will be broadcast on the channel next month. Morph is returning home to the BBC after more than 15 years away from our television screens. Originally created in 1977 by Aardman, Morph first appeared on the BBC Children’s art programme ‘Take Hart’ alongside the artist and presenter Tony Hart. Staying true to the original format, the new episodes are shot using clay and traditional stop-frame animation at Morph’s original home at the Aardman studios in Bristol. The new series launched in the summer after a successful Kickstarter campaign raised over £110,000 which part-funded 15 brand new one-minute episodes. The episodes, which have been released throughout the second half of 2014 on Morph’s very own YouTube channel (www.youtube.com/MorphOfficial) have been enjoyed by hundreds of thousands of fans worldwide.